Welcome to DaveAndKathy.com, where your dream Chicagoland suburban lifestyles become reality! We are glad to welcome you to our website. Here you'll find a variety of helpful and easy-to-use resources designed to make buying a new home or selling an existing property a smooth ride. Use our full-featured search page to find the best home to match your lifestyle. Browse our featured listings to start your home search with the best that Chicagoland's suburban neighborhoods have to offer. Explore and maximize your opportunities through our in-depth buyers' and sellers' resource pages. Discover outstanding suburban neighborhoods in western Chicagoland in our informative community pages. Reach out to us anytime for your inquiries, concerns, and requests. When it comes to Hinsdale real estate and other exceptional finds in the western suburbs of Greater Chicago, our knowledge is second to none. As life-long residents of this area, we know the neighborhoods like the backs of our hands. We have been in the real estate industry for over 20 years and remain in the business by keeping up with the latest market conditions, developments, and opportunities. We can assure you that you get no less than the best and most relevant advice and market insights throughout the home buying process. We also represent you as a home seller. We'll help you understand what home buyers expect and give you an overview of the current market as it relates to the home you're selling. Our goal is to bring our considerable knowledge and experience to the negotiation table in order to get the best price for your home in the shortest possible time. When we work together, we'll find your dream home or secure a profitable sale. But more than that, you can count on us to be your most reliable guides and partners throughout your real estate journey. Leave the many details to us – we'll look for a home that fits your needs, price your property right, negotiate the best deal, and close the sale. Every real estate transaction is an opportunity to show our clients how much we value them – from the high quality of our service to the relationships we inevitably build with them. We are proud members of County Line Properties. By carrying the renowned County Line Properties banner with us in every transaction, we know we represent the highest standard in real estate excellence. We share in the firm's mission of helping people fulfill their dreams of owning a home by adhering to its best practices. Contact Dave and Kathy today! Start exploring homes in and around Hinsdale, IL today. Get your home ready to sell. 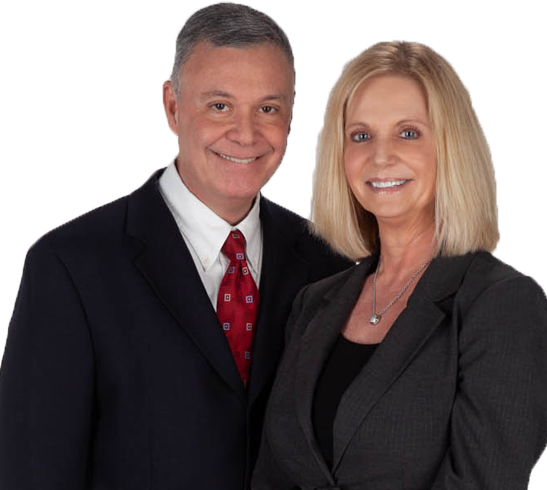 Whatever you need, Dave and Kathy Ricordati will make sure that everything goes smoothly, every step of the way.